Exotica Valves™ manufactures a unique line of check valves: Exotica CXK™. Check valves have a simple design, and in general cannot be manually operated. They are meant to prevent backflow, and come in swing, ball, piston, screw-down and dual-plate configurations. Among these, the swing check valve is the most widely used, in which the disc swings and closes against the seat in to prevent backflow. 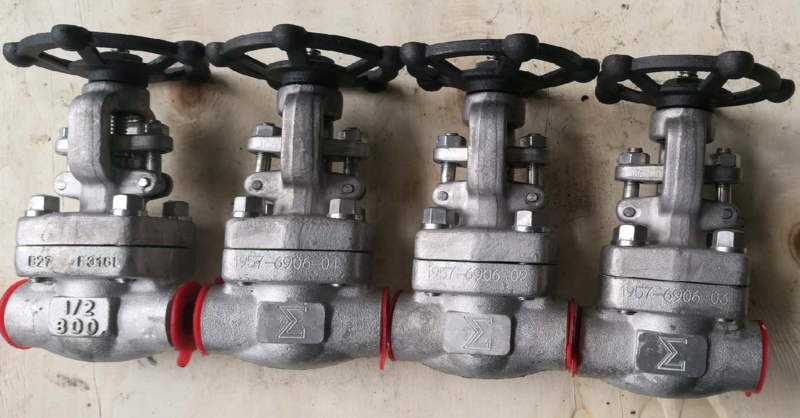 Ball-check and piston-check valves, whether spring-assisted or not, are used where it is not feasible to use a swinging disc design to prevent backflow, particularly in small diameters. The main difference between ball-checks and piston-checks is that the ball check obturator is ball shaped and the piston-check is conical shaped. Dual-plate check valves are the preferred type of check valve when size and weight are a decisive factor when choosing a check valve. Screw-down, Non-Return Check valves are specially suited for applications where a combination of a globe and a check valve are required. The SDNR valve offers the functionality of a check valve with the option of manually creating a seal with a handwheel override that presses the disc toward the seat, even if the flow is not strong enough to do so.